Stu Vetter summer basketball camps take place throughout Northern Virginia and Maryland between June and August (see dates & locations). Camps are designed for boys and girls between the ages of 6 and 18 of all skill level. The philosophy of our basketball camp is to teach the fundamentals of basketball and life. These camps are perfect way to keep your kids active, fit and disciplined while also having fun. Campers are grouped by skill level and are small to allow for individual instruction. Every session is conducted in Air Conditioned Gyms and will include instruction, drills, competition, guest lecturers (including former players and current professional players) and prizes. Adjustable baskets are available for younger players. Team and Group discounts Available and AIR CONDITIONED GYMS. Most parents find the camp so successful that they sign for multiple sessions so register now before your session fills up. Camp hours are from 9:00am-3:00pm (unless otherwise specified). Campers should arrive between 8:30-9:00 am on their first day of camp. After the first day, camp doors will not open until 8:50am unless campers are enrolled for extended care. Campers must be picked up in the afternoon by 3:10pm unless they are enrolled for afternoon extended care. Extended Care will be available weekly. From 8:00 am – 9:00 am and 3:00 pm – 5:00 pm at a cost of $75 per week. Campers are required to wear a camp t-shirt. One t-shirt is included with every registration. Additional T-Shirts can be purchased during registration. Campers are to bring their lunches. No refrigeration is available. Snow cones and drinks will be on sale during the camp. Counselor Jason “Coop” Conley is a former div. 1 athlete and Stu Vetter player. He loves working kids at camp. Please shoot Coach Coop an email with any questions by filling out this short form. 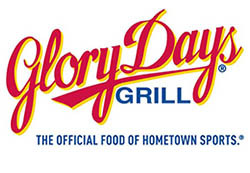 We are proud to have Nike and Glory Days Grill as sponsors. 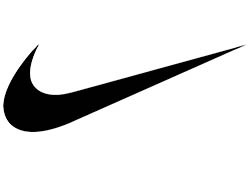 All of our players get a free Nike T-Shirt. Camps feature daily prizes from Nike and participating Glory Days Grill locations. Join our email list to be informed of important camp announcements and discounts.